Who could resist the comforting smell of freshly baked challah? What family wouldn't want to light a menorah with oil that they pressed and refinedthemselves? 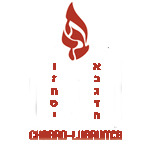 The Chabad Center, through its year-round programs, will help link Jewish teaching and learning to Jewish practice and living. Offering a beautiful banquet room for hosting Shabbat dinners and lunches, as well as a space for hands-on workshops, the Center will help encourage children and adults to actively participate in Judaism and its practices. Through these celebrations, they will experience the beauty and joy of Shabbat and the holidays. With activities such as baking matzah for Passover, creating masks for Purim, and making shofars for Rosh Hashanah, Chabad can make learning about Jewish holidays and ritual objects fun and rewarding for everyone.